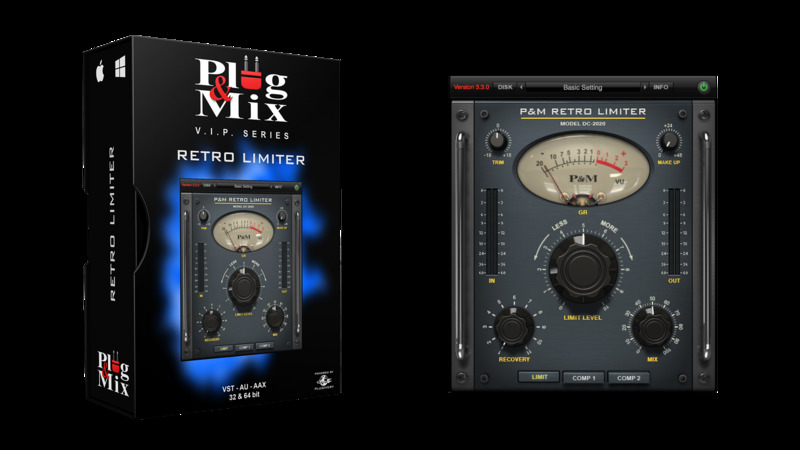 This is a simple, great sounding limiter that you can use to control the dynamics of any track or mix. Additional selector controls allow you to choose between Limiting and Compression modes. The big Limit Level knob in the middle controls the amount threshold while the Recovery knob changes the time that the Limiter returns to zero. Trim level adjusts the signal input level and the Make Up knob controls your overall output level. - Limit Level : Determines the amount of Gain Reduction on the input signal. - Recovery : determines the amount of time it takes for the limiter to recover. - Selector buttons : Choose between Limiter, Comp 1 and Comp 2 settings. - Trim : Controls the level of the input signal. - Make Up : Controls the output level of the plug-in.